It’s a major challenge for multiple reasons. 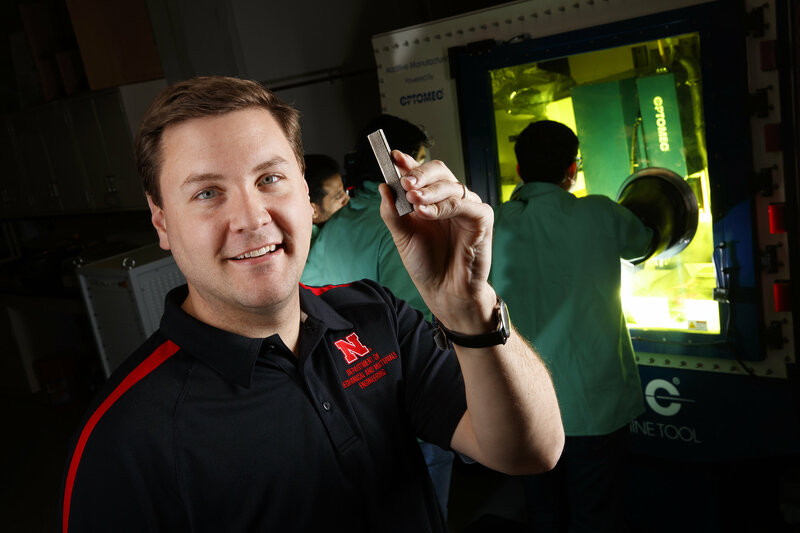 But the university has equipped Nebraska Engineering with technology commensurate to that challenge: the first 3-D printer in the world that can integrate multiple materials and manufacturing processes while also printing highly reactive metals such as magnesium. Sealy then began testing the long-term corrosion of magnesium parts in a fluid that simulated the aqueous environment of the body. This time, the results were more sobering: The screws lost 50 percent of their strength after just one week and 80 percent after two weeks. Sealy quickly realized that peening only the surface of the magnesium parts wouldn’t suffice. Not just any 3-D printer would do. He needed access to the sort of technology that was only just beginning to emerge. 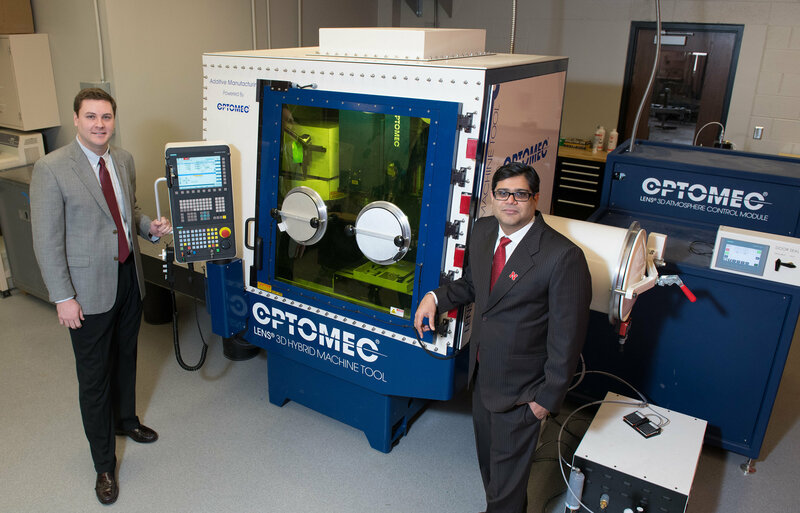 Nebraska Engineering offered him the opportunity to help direct its purchase of three state-of-the-art 3-D printers. Those printers eliminate virtually all of the oxygen, moisture and other impurities that could react with magnesium—a fairly rare capability in itself. But they also allow Nebraska engineers to construct components layer by layer, which enables Sealy and his colleagues to incorporate multiple materials or build intricate internal structures. The other major benefit? 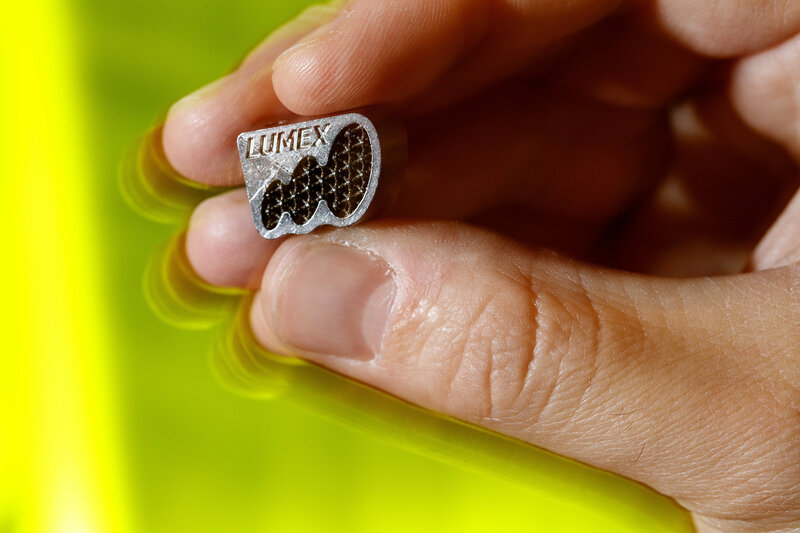 Being able to apply various manufacturing treatments—including laser shock peening—to any or all of a part’s internal layers. “Then I can control corrosion all the way through these devices,” Sealy said. “This approach is essentially a way to print your own mechanical properties. It’s something that traditional manufacturing has never really had the ability to do before. With that level of customization at his command, Sealy is now experimenting to answer multiple questions: How does peening individual layers affect the corrosion rate of a resulting part? What’s the optimal concentration of magnesium vs. other metals? Do those outcomes change based on which technique prints the parts? “That’s kind of the fun part: figuring out what these rules of thumb are for the different printing technologies across different material systems,” he said.